The Seventeenth Judicial District Commission on Judicial Performance unanimously recommends that Judge Sabino E. Romano BE RETAINED. 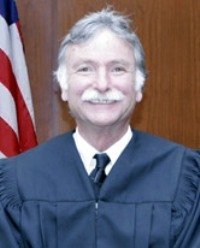 Judge Romano was appointed as an Adams County Judge in 1986, and has now served in that position for more than 28 years. Prior to his appointment, Judge Romano served as a County Court Magistrate, 1983-1986, and was a lawyer in private practice from 1974-1983. During his tenure in Adams County, Judge Romano has handled a full variety of County Court cases. In this last review period, Judge Romano handled exclusively civil and small claims cases. He is the only county court judge assigned to the civil docket in Adams County Court; that docket encompasses several thousand civil and small claims cases per year. The Commission’s assessment and evaluation is based on extensive research including review of professional surveys of attorneys and others who have appeared in his court, a personal interview with the judge, Judge Romano’s own self-evaluation, a review of legal opinions rendered by the judge, case-processing statistics, and personal observations of the judge in his courtroom. Surveys from both attorneys and non-attorneys for this election cycle provided statistics that were considered in assessing Judge Romano’s effectiveness in the courtroom. Judge Romano received ratings significantly above the statewide average among all County Court judges standing for retention. Of attorneys responding to the surveys, 97% recommended to retain, 0% not to retain, and 3% made no recommendations regarding retention. Of non-attorneys responding to the survey, 96% recommended to retain, 4% not to retain, and 0% made no recommendations regarding retention. In reviewing Judge Romano’s work over the last four years, the Commission was particularly impressed with the judge’s demeanor toward litigants and others in the judicial system. He is highly recognized for his case management, knowledge of the law, communication skills and diligence. Judge Romano genuinely cares for the people in his court. The Commission also was favorably impressed by Judge Romano’s fairness, patience, and ability to communicate with litigants who often do not have legal representation, even while the judge has been able to maintain the efficiency necessary to handle his court’s overwhelming caseload. In addition, two years ago, Judge Romano was elected and honored by his peers to the position of Presiding Judge of the County Court and continues to serve in that capacity. Based on all the aforementioned considerations, it is the Judicial Performance Commission’s unanimous recommendation that Judge Sabino E. Romano BE RETAINED.